Alan Lee, a key member of The Times sportswriting staff for nearly 30 years, has died. He was 61. Among the tributes paid today, the sports editor who appointed him to the newspaper in 1988 called Lee “the best”. The SJA’s Sportswriter of the Year in 2001, the year in which he also won our Specialist Correspondent prize, Lee had been The Times‘s racing correspondent since 1999. Before that, he had been its cricket correspondent for 11 years. Last month, he underwent extensive heart surgery, but was recovering well and planning to return to work in January. Yesterday, however, he collapsed shortly before he was due to set off to Ascot races. Tom Clarke was the sports editor at The Times from 1986 to 1993, and later edited The Sporting Life and worked in the racing industry. Today, he said, “Working with Alan Lee was one of the delights of my time as sports editor of The Times. “I had admired his work from his days with Reg Hayter’s agency right the way through to his being cricket correspondent of the Mail on Sunday. “When John Woodcock, who had been cricket correspondent of The Times since 1954, told me in 1988 he wished to retire, we had a queue of leading cricket writers wanting the job. 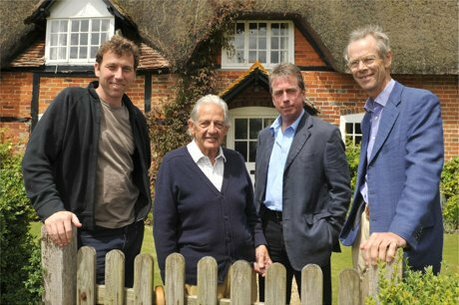 I went for Alan and, with Charles Wilson, the editor, we persuaded John to continue as a kind of emeritus alongside Alan. “It was the dream team: the lively reporting of Alan complementing the great authority of John – and they enjoyed working together for a couple of years until John finally retired. “Alan loved cricket and cricketers but he did not love the strain of being away from home for long periods on England tours. So he persuaded The Times in 1999 to switch him from writing about cricket to writing about his other great passion, racing. Tim Hallissey, the head of sport at The Times, said: “Alan Lee wrote beautifully about cricket and racing. His passion for both sports shone through all his work, reflecting a rare level of understanding and appreciation. “He believed that being as close as possible to the sport was the only way to cover it properly, and would travel the length and breadth of the country – always to the less-glamorous courses on the most inhospitable days – to ensure he was telling the true story. As well as his SJA prizes, Lee was awarded the title of Racing Journalist of the Year on three occasions, most recently last year. Jon Ryan, the former sports editor of the Sunday Telegraph and Mail on Sunday, and now an SJA committee member, knew Alan Lee well through working in horse racing. “Like so many, I was shocked and saddened to hear of Alan’s death,” Ryan said. “I struggle to think of another journalist so respected in two different sports. He was a wonderful cricket writer and a deserved member of that small hall of fame of Times cricket correspondents. “He then became a racing writer who understood the complexities of the sport, appreciated the skill of trainers and jockeys and kept Times readers entertained and informed. “He was a wonderful interviewer and was read avidly by people who had only a passing interest in the sport. Those in racing respected him and realised what an asset he was to the sport. “On a personal level he was great company – frank in his views but charming,witty and knowledgable. Like me, he was a Gooner and we met abroad and at odd away games. We always discussed the Arsenal, the frustrations of supporting and the occasional glories when we met on the racecourse. Writing in The Times today, one of Alan Lee’s successors as the paper’s cricket correspondent, and a man who had been England cricket captain through much of Lee’s tenure in that post, Mike Atherton, described him as “the journalist’s journalist”. Lee was a copious writer of books, often ghosting works by key figures in the game such as Tony Greig, David Gower, Graham Gooch, Bob Willis and David Lloyd, and long before he’d taken up the reins of racing at his paper, he had written a highly regarded biography of Fred Winter, as well as books with Peter Scudamore and, poignantly considering the former champion’s death recently, Pat Eddery. Lee’s Course Inspector series in the newspaper, later a book, was a race-goer’s essential handbook. “From a player’s perspective, I found him, above all, to be fair-minded and accurate and at a difficult time for English cricket I was grateful for that. It is all a player can ask for, really,” Atherton wrote. 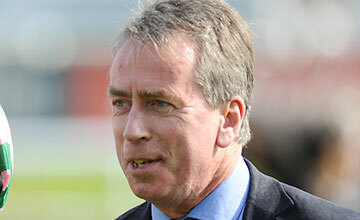 The Sports Journalists’ Association sends its deepest condolences to Alan Lee’s family, friends and colleagues. Alan Lee leaves a daughter Vicky and son James.